FinePrint reduces printing costs and adds useful features you never thought you needed! A consistent and simple printer interface to control all your printers. Better traceablity of documents with automatic page tagging of date & time, source etc. Improved quality assurance adherence using features such as page x of y. Easier filing and handling of documents by merging multiple sources into one FinePrint document for printing as a single document with uniform headings, page numbers, margins etc. Much better web page printing. You can capture any size of page and it is rescaled to fit your printer paper. You can remove unwanted pages and a single instruction removes all graphics but leaves the layout intact or converts to monochrome to save ink. Double sided, booklet and multi-up on any printer. You can send any number of documents from any program to FinePrint and FinePrint will rearrange the pages to let you print in booklet layout, double sided or multi-up. The instructions are the same regardless of the printer and are done by ticking a box. FinePrint keeps a log of paper saved by comparing pages printed with sheets of paper used. For example if you print a 16 page document as an A5 booklet that would show 4 sheets of paper used against 16 sheets from single page printing. A4 pages in normal font sizes printed as A5 booklets are still perfectly legible. In addition, printed reports in these layouts look more professional and are much easier to handle and store. We show about 60% paper saving across all our printers. Electronic overlays/letterheads save the cost of pre-printed stationery and the waste when designs are changed – frequently leaving boxes of stationery to be scrapped. Time is saved as there is no need to ensure the correct stationery is in particular trays. Waste is reduced as it is no longer possible to print on the wrong stationery. You can enjoy the benefits of the more professional appearance of preprinted stationery even for low volumes, as there is no cost involved in saving and using electronic overlays. The feature has the flexibility to handle combined letterhead and continuation sheets and to treat the overlay as if it were in a specific paper tray. Headers footers and watermarks can be created once and saved as ‘Stamps’ or ‘Tags’. This saves time in typing or in finding and copying and pasting. All the Stamps and Tags are available within FinePrint. Built in variables. These are built in rules that automatically ‘Stamp’ appropriate information onto the page. Possibly the best example in the variable ‘Page number’. 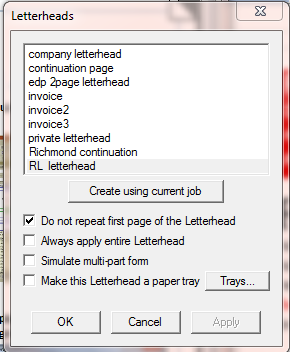 If you select this then every page from where you set the start will have the next sequential page number printed on the page. There are variations of this such as ‘Page x of y’. Other variables are: Date, Time, User name, Job name, Computer name, Printer name. While you could do this in your word processor or spreadsheet, this is simple and can be stamped on every page of a printout made up of documents from different sources. Combine separate documents. You can combine as many documents as you want from any source. The benefit of this is that you can create a single document with consistent page numbering, headers and footers ond overlays. There is much less risk of sections being lost as they can have a unique page numbers such as “page 7 of 33”, and the appearance can be more professional as every page can have the same headers, footers, margins, watermarks etc. Document manipulation. 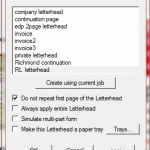 You can cut copy and paste pages and add blank pages. This is useful for tidying up long documents and printing variations of documents for different audiences. In addition you can save the document in FinePrint format for future use and the editing ability means it can be updated; you do not need to reassemble the job and the appearance will not change. Redact and highlight. It is simple to redact or highlight text. Do this by dragging the mouse across. Printing web pages This is often problematic because of non standard page sizes and pages with only footer content. 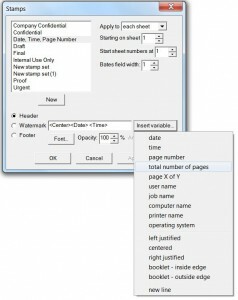 FinePrint helps by letting you print to oversize pages which it can automatically rescale to A4. 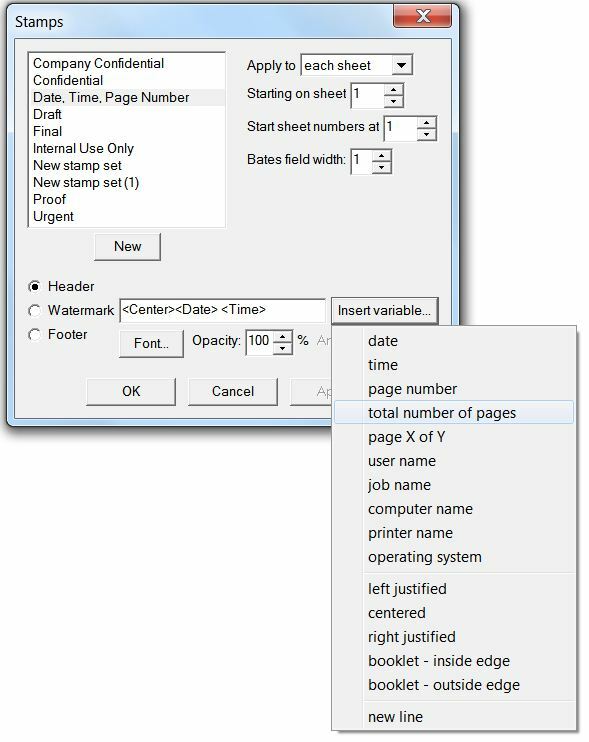 You can cut out unwanted pages and in addition check boxes allow you to save printing time and ink by changing the whole document to grayscale and removing all graphics without changing the layout.